Skyforge Skyhook Box Cloud 3D Printing. Nothing erks me more than to read a press release or note from someone filled with today’s top tech and startup jargon and buzzwords, unless it all comes together. That’s the case with Skyforge that’s trying to solve a few common 3D printing problems with one solution. Skyforge in the simplest terms is a cloud based 3D printing platform. 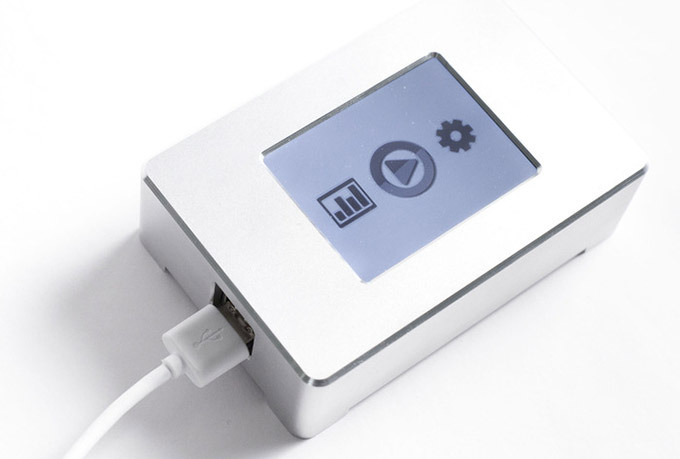 Skyhook is the magic hardware box that solves cloud based 3D printing problems. Stick with me here because this is great. Yes the costs of 3D printers are coming down tremendously, but once you purchase a 3D printer you open yourself up to a pandora’s box of other problems. Do you have the right filament (ink) for your printer. Do you have the colors you want or need. And then there are the errors. 3D Printers love spitting out errors if you have one teeny tiny thing wrong with your 3D print instructions you can literally spend hours fixing it. “the input file contains a hole near edge 11.085939,11.380004,60.110999-18.055999,11.382004,60.150995 ...” is an example of a 3D printer error message, leaving many people with 3D printers wishing these errors were as simple as “paper jam in top tray”. Just supposed though, that you were the master of creating 3D printing templates. Chances are if you have a 3D printer at home and you’re a hobbyist, that 3D printer is going mostly under utilized. Skyforge has created a platform for which users can have their 3D printing creation printed on someone else’s printer and people with printers can make a little extra change and get more use out of their 3D printer. That’s what University of Idaho students Chris Walker and John Feusi had in mind when creating SkyForge. Creators can easily turn their 3D designs into real-world objects using our great online 3D printing workflow. Spend time learning and creating, not configuring software. Owners of 3D printers can connect Skyforge to their printer to help local communities access 3D printing and generate revenue through automated online orders. Put your printer on the map and turn an underutilized resource into a productive asset. Institutions like libraries and makerspaces can manage their 3D printing resources intelligently. Enable your community to rapidly learn about 3D printing and collaborate on creative projects. Because Skyforge is cloud based it also makes it a lot easier for creators to collaborate on 3D printed projects. Suppose you got that crazy error and just couldn’t shake it out, members of the Skyforge community could easily help you. Skyforge keeps a change log so the user knows what was changed every step of the way and if they didn’t like a change a community member made they could easily revert back to the previous step. Anyone who’s used a 3D Printer without much assistance knows that most 3D printers are different and for all intents and purposes they all speak different languages. That’s why Element Robot, the team behind Skyforge, created the Skyhook. This simple hardware box makes connecting your computer and 3D printer to the Skyforge network, virtually plug and play. It’s not often that one idea can solve a bunch of problems but it seems that Element Robot has the 3D Printing Community’s back with Skyforge. Check them out here and here.